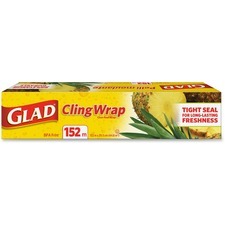 Double lock zipper seals tight, keeps freshness in. 6-5/8"W x 8"H.50/box. 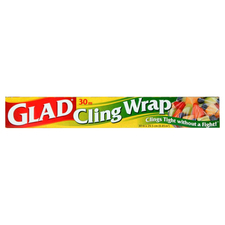 Thick plastic and a tight seal virtually eliminate freezer burn and dry-out. Extra wide seal.7"W x 7-3/4"H.40/box. Seals tight on a variety of surfaces. 12"W x 498'L.Also available in a carton of 12. 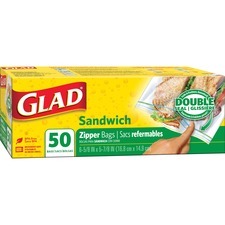 Glad® FlexForce® Contractor Garbage Bags 34-1/2" x 39"